or... SCAN form below, & email it to us. or... MAIL form to PO Box 8391, Asheville NC 28814 with credit card info, or check made to Billy Jonas. NOTE: You'll be able to order "Build It Back Again" via CD Baby, Amazon & Itunes soon... not yet! For 25 years, Billy Jonas -- performer, singer-songwriter, composer, multi-instrumentalist, and educator -- has perfected the art of the neo-tribal hootenanny* with audiences around the globe. Using voice, guitar, and industrial re-percussion,* each concert is a soul-spelunking, heart healing, joy-filled journey. Billy developed his craft in the late 1980‘s as a founding member of the Oberlin College Big Bang Theory performance art collective. 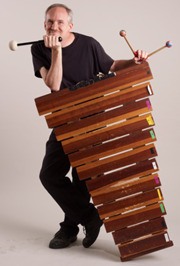 He refined things further in Chicago during monthly “Bangalong with Billy” shows at the No Exit Cafe, and subsequently in the 1990‘s as a co-founder (with Bill Melanson) of the funky folk* duo The Billys. He currently tours with the Billy Jonas Band, which was honored with an invitation to perform at the White House in 2010. Originally from Chicago, Billy has lived in Asheville NC since 1991. * = see FAQ and AWARDS on the sidebar. For more info, or for booking, contact Susan@LoydArtists.com, 518.647.5916. 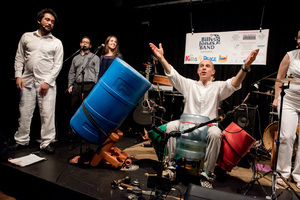 The Billy Jonas Band loves to engage and delight both young and adult audiences. Whether performing for adults, families, school groups, faith communities, or a mix, they strive for a musical excellence that inspires, entertains, and moves people literally and figuratively. With "wild winded word magic" (Dirty Linen Magazine), homemade "industrial re-percussion" instruments, exquisite 3 and 4 part vocal harmonies, plus guitar and bass, they love to create community through song and story. Their specialty: finding and pushing your "wonder" button. In 2010, the Billy Jonas Band was honored with a performance at the White House! Billys, and now with The Billy Jonas Band goes hummin' and strummin' and bangin' and sangin' across North America, promulgating homemade "industrial re-percussion," genre-bending "funky family folk," and the participatory joy of "everybody's in the band." ASHLEY JO FARMER: (vocals, re-percussion) – In turns soulful, sensual and humorous, Ashley adds an exciting vocal dimension to the Billy Jonas Band. She also leads The Ashley Jo Farmer Band (AJFB), political firebrands & festival favorites. Sherman holds down the funky bottom for the band while adding innovative harmonies to the mix. 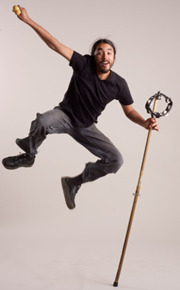 JUAN HOLLADAY: (vocals, marimba, re-percussion) – Juan is a mover and a groover and adds sweet tenor harmonies. 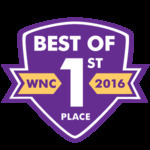 His band The Secret B Sides has been voted #1 soul/R&B band in Western NC for 3 years running! Welcome to Bridging Divides! Please click the link below if you’d like to book a 30-minute discovery session with Billy, to discuss how a commissioned song can serve you and your mission! … then BRIDGING DIVIDES is your CREATIVE answer. 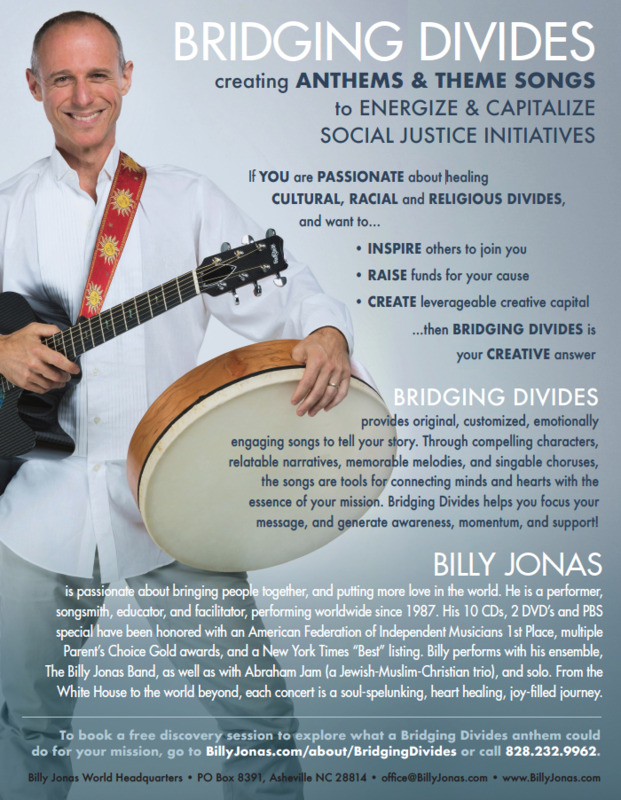 BRIDGING DIVIDES provides original, customized, emotionally engaging songs to tell your story. Through compelling characters, relatable narratives, memorable melodies, and singable choruses, the songs are tools for connecting minds and hearts with the essence of your mission. Bridging Divides helps you focus your message, and generate awareness, momentum, and support! BILLY JONAS is passionate about bringing people together and putting more love in the world. 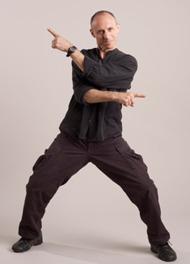 He is a performer, songsmith, educator, and facilitator, performing worldwide since 1987. His 10 CD’s, 2 DVD’s, and PBS special have been honored with an American Federation of Independent Musicians 1 st Place, Multiple Parent’s Choice Gold awards, and a New York Times “Best” listing. 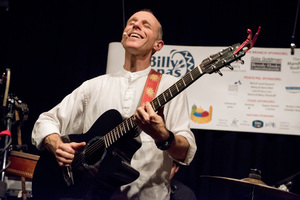 Billy performs with his ensemble, The Billy Jonas Band, as well as with Abraham Jam (a Muslim-Christian-Jewish trio), and solo. From the White House to the world beyond, each concert is a soul spelunking, heart healing, joy-filled journey. If you are an individual, a couple, or a family interested in commissioning a personalized, customized song, this will be the place (page underconstruction - for now, email or call us)! If you have an organization, institution, or business with a social justice initiative, and would like to commission an anthem or theme song, please go to the BRIDGING DIVIDES page. If you have preliminary questions, please email office@BillyJonas.com, or call 828.232.9962. Commissioned by Elana Kann for the occasion of her adopted daughter Jyothi's 16th birthday. Notes from Billy: Jyoti was born in India, and her name means "ray of light" in Hindi. Elana: "My family surprised Jyothi with this song as part of her Sweet Sixteen dance party. The DJ helped me weave it in among the dancing. 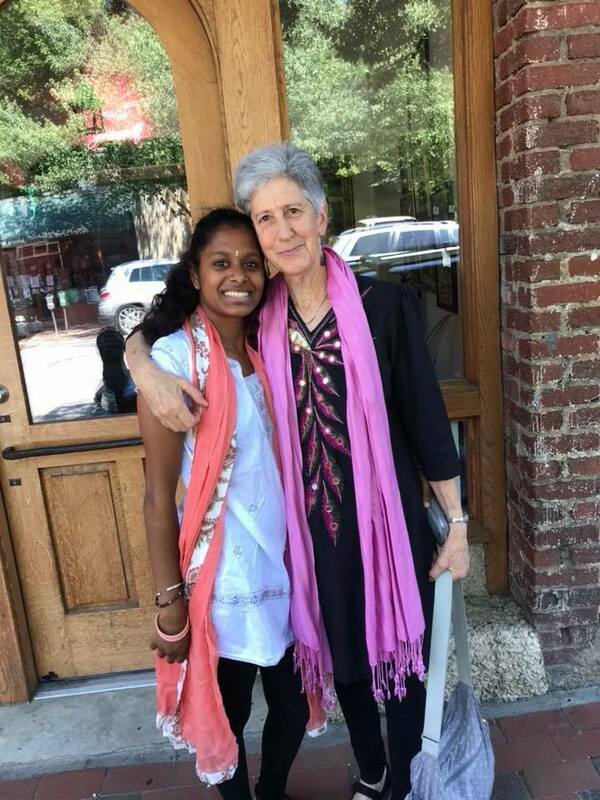 Everything stopped when this song came on -- people gathered around Jyothi, she looked stunned, burst into tears, came over to me, and I held her through the song. It was deeply moving to both of us, and to her guests. Because she had been through some traumatic experiences during the year before, it was also healing I think to hear that alluded to in such a beautiful poetic way. Thank you!" Jyothi: "I felt overwhelmed when I heard it. In a good way!" end grave abuses of human rights. You can help make a real difference by becoming a member or supporter of Amnesty International. 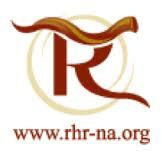 Rabbis for Human Rights – North America (RHR-NA) is an organization of rabbis from all streams of Judaism that acts on the Jewish imperative to respect and protect the human rights of all people. Grounded in Torah and our Jewish historical experience and guided by the Universal Declaration of Human Rights, we advocate for human rights in Israel and North America. Sierra Club To explore, enjoy, and protect the wild places of the earth; To practice and promote the responsible use of the earth's ecosystems and resources; To educate and enlist humanity to protect and restore the quality of the natural and human environment; and to use all lawful means to carry out these objectives. World Wildlife Fund is the conservation of natural spaces and the diversity of species. Using the best available scientific knowledge, and advancing that knowledge where we can, we work to preserve the abundance of life on Earth. WWF protects natural areas and wild populations of plants and animals, including endangered species. WWF promotes sustainable approaches to the use of renewable natural resources. WWF embraces more efficient use of resources and energy and the maximum reduction of pollution. World Wildlife Fund is committed to reversing the degradation of our planet's natural environment and to building a future in which human needs are met in harmony with nature. We recognize the critical relevance of human numbers, poverty, and consumption patterns to meeting these goals. 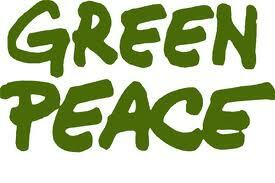 We sincerely appreciate your support and interest in environmental conservation. 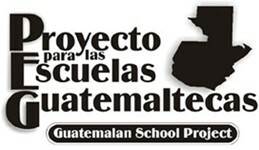 PEG Partners funds projects in Guatemalan schools to improve learning environments for Guatemalan children, predominantly Mayans. PEG is a 501c3 non-profit organization, which means that your contributions are tax-deductible. We're happy to provide receipts at the time of donations. 501c3 does not mean that we're a big organization with lots of staff and administrative expense. PEG is an all-volunteer effort, with all donations going 100% to projects in Guatemala which are initiated and managed by Guatemalans. Read to Succeed, a 501c3 project, was developed because Asheville children who live in poor neighborhoods tend to lag behind other students in the ease with which they learn to read and their ability to stay at reading level. Children who are not proficient readers by the third grade are many times more likely to drop out of school and thus fail to graduate from high school. Working directly with classroom teachers, Read to Succeed's mission is the early identification of children who are academically at-risk, and through one-on-one tutoring help them gain and remain at grade level in reading. The next training session for tutoring is in Spring 2013. If interested please contact Julie Sherman at mjuliesherman@gmail.com or call 828-251-4949. It's kind of like a catalogue, an easy way to see everything. You can also download the form (click the pdf link below).